First of all, what is it? Basically, it detects when the level of water in your cooling system’s expansion bottle falls below a minimum level. When this happens, it usually means that your system has taken the water from the reservoir because it is leaking out from somewhere else. 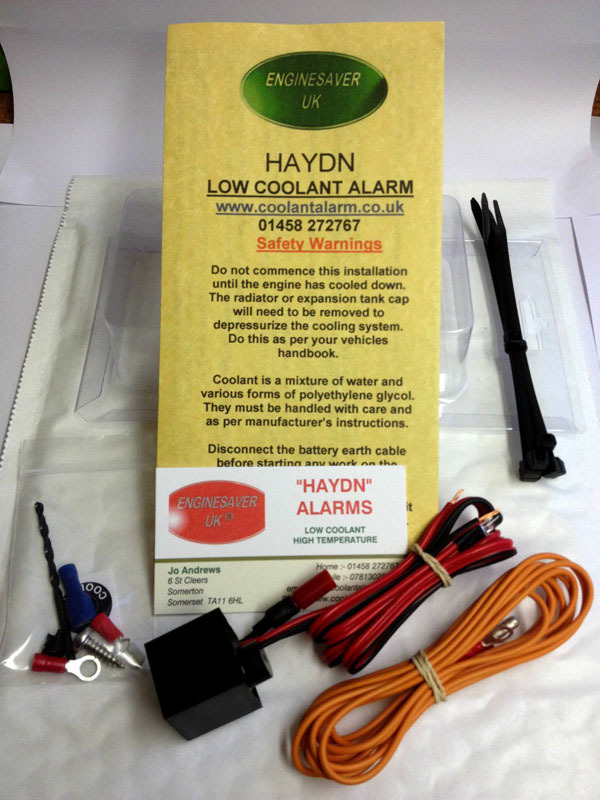 Many Bongo owners make fitting a coolant alarm their number one priority, since it has often been suggested that the temperature gauges are not the most accurate, or quick enough at showing a problem. The two alarm systems of choice are shown here. (Click on images to enlarge). Both alarms seem to work fine, although some people believe that you ‘get what you pay for’. Personally, I have used the cheaper one* and so far it continues to work perfectly. Given the comparatively low cost of the components, I do feel that anything above £30 is getting expensive. 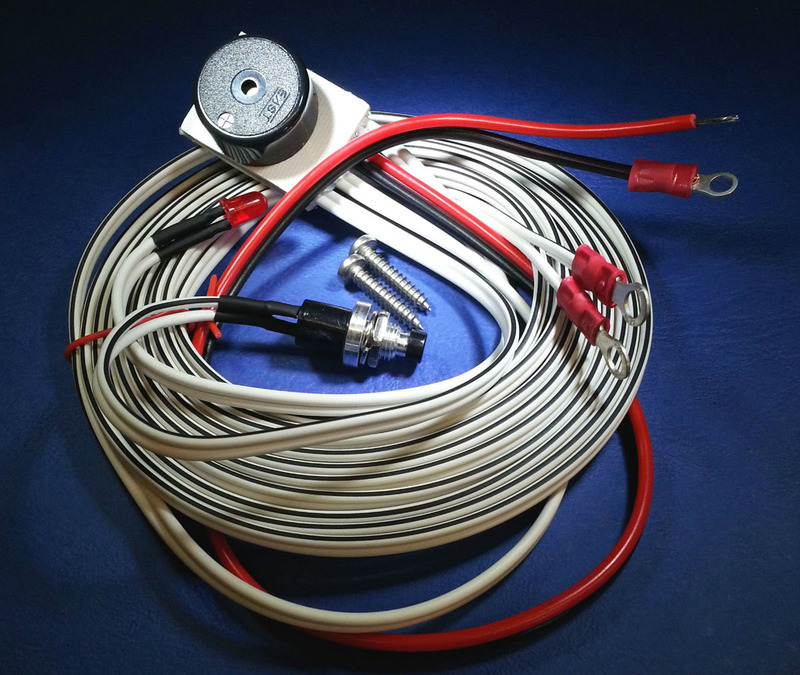 From an electronics point of view, the circuitry isn’t complex – all it has to do is detect a difference in resistance and then activate a warning buzzer. The cost of the first is £19.99 and the second is up to £80.00. You can find both on eBay with free delivery. 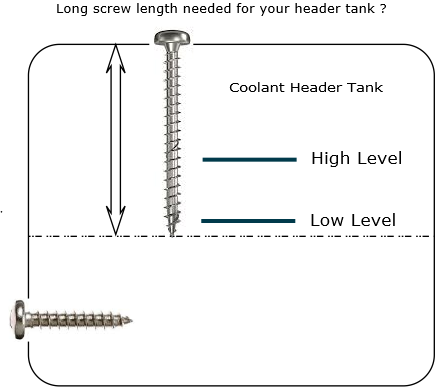 (You will probably need to provide required screw length for the cheaper systems). I would mention here, that sometimes you can arrive at the cheaper version on the internet and it is not the correct one. *The company usually mentions that they do a version specifically for vehicles. Check that you buy the correct version – they both look the same. Note: Although it feels counter-intuitive to drill holes in your coolant expansion bottle, once screws are fitted you shouldn’t get any leaks. 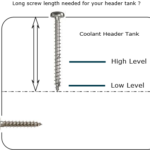 (The Haydn uses one screw and cheaper systems use 2 screws). One thing that occurred to me, that no one has to my knowledge mentioned, is what happens if the alarm buzzer sounds when you cannot pull over to the side of the road instantly? Personally, I didn’t want that noise distraction continuing, once I’d been alerted. I therefore fitted an extra switch to turn it off. False alarms: If after a while, your alarm starts to sound for no good reason, it may be because one of the sensor screws has become coated with a thin film. 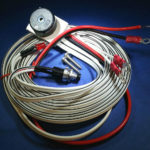 This acts as an insulator and the alarm circuitry doesn’t get a resistance connection through the water. Removing the screw (or screws) and giving a good clean with a wire brush (or similar) restores the contact surface and the alarm, once again, works as normal. 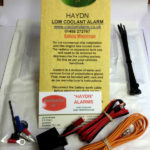 I haven’t found a video for fitting the cheaper alarm, but here is one fitting a Haydn alarm. It may not be perfect, or necessarily the way you may manage the fitting of your own, but at least it gives some idea of the process.